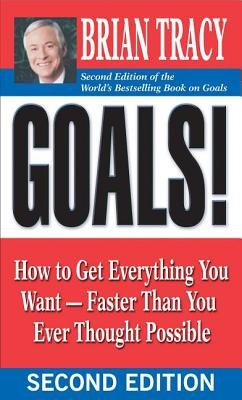 Why do some people achieve all their goals while others simply dream of having a better life? Bestselling author Brian Tracy shows that the path from frustration to fulfillment has already been discovered. Hundreds of thousandsâ€”even millionsâ€”of men and women have started with nothing and achieved great success. Here Tracy presents the essential principles you need to know to make your dreams come true. Using the twenty-one strategies Tracy outlines, youâ€™ll be able to accomplish any goals you set for yourselfâ€”no matter how big. Youâ€™ll discover how to determine your own strengths, what you truly value in life, and what you really want to accomplish in the years ahead. Tracy shows how to build your self-esteem and self-confidence, approach every problem or obstacle effectively, overcome difficulties, respond to challenges, and continue forward toward your goals, no matter what happens. Most importantly, youâ€™ll learn a system for achievement that you will use for the rest of your life. As they discussed the reasons why they had managed to achieve so much in life, the wisest man among them spoke up and said that, in his estimation, â€œsuccess is goals, and all else is commentary.â€ After a few moments of silence, each of the others nodded and agreed.